Were Porcelain Veneers the Wrong Option? I have teeth which are too short. I’d recently read an interview about a celebrity who used to have the same problem. She got porcelain veneers on her teeth and now her smile is gorgeous. I told my dentist I wanted him to give me her smile, but it turned out horribly. Did I misunderstand what she had done? Were porcelain veneers the wrong option for me? Porcelain veneers are a great solution for what you were concerned about. They can change just about anything wrong with a smile. They can make short teeth longer, as you needed. 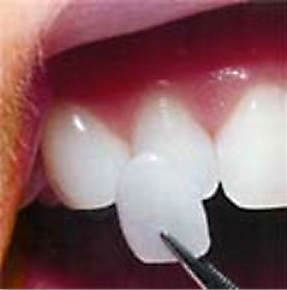 In addition to the length of your teeth, they can change the width, the shape, the color, and create a character. The problem likely lies in the skill set of your dentist. Not every dentist has invested a lot of time into learning how to do smile makeovers. Given that it is not something taught in dental school, the additional post-doctoral training is a must. Even those who have invested in the training have varying levels of skill and even greater variety in artistry. If you’re unhappy with the results of your case, you can ask him to re-do it. However, even if he is willing, you may not get any better results. He’s limited by his capabilities or lack thereof. I’d ask for a refund or at least a partial refund and then go to an expert cosmetic dentist to have the case done the way you’d dreamed. You want a dentist with more than just technical knowledge. You want an artist; someone who can truly design a stunning smile that blows you away. You should be so thrilled with your smile makeover you can’t stop smiling to show it off. You should feel like a new woman with renewed confidence. So, where do you find a dentist like this? The easiest way is to go to aacd.com and click on find a cosmetic dentist. Then, make sure you check that you’re looking for an accredited dentist. AACD accredited dentists are the top cosmetic dentists in the world. They will give you a stunning smile. Additionally, almost every one of them has a beautiful smile guarantee. Have All My Options Been Explained? Yes, dental implants are a fantastic way to replace missing teeth, but it’s important you know your options so you can be sure you chose the correct option for you. For instance, if you’re only replacing one tooth, but one or more of the two adjacent teeth need crowns, then a dental bridge would make more sense. If you’re missing all your teeth, getting a dental implant on every tooth would cost up to $84,000. 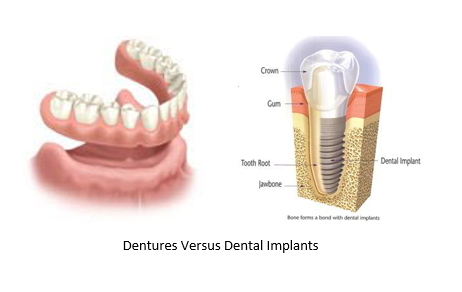 Getting implant overdentures addresses all the same needs with significant cost savings. Be sure to ask your dentist to explain all your options along with their pros and cons when you book your consultation. Are You Committed to Proper Oral and Health Care? 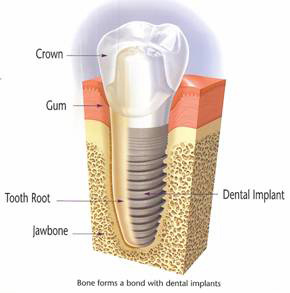 If you’ve lost your teeth because you have gum disease, that will have to be addressed before getting dental implants. Gum disease will cause the implant to fall out just the way your teeth did. Once your gums are healthy, it’s fine to go ahead and get the implants. However, if you’re not willing to care for your teeth with regular brushing and flossing, along with visits to the dentist, you’ll end up right back where you are now. In that case, you’d be better off not investing in something you won’t care for. 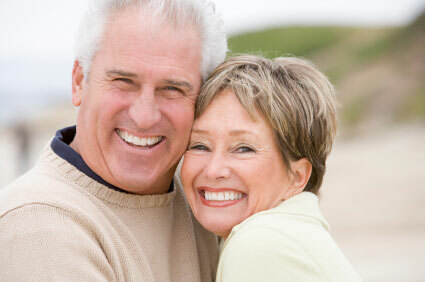 Removable partial dentures may be a better option for you. If you’re a smoker, this is a larger contributor to both gum disease and dental implant failure. The reason behind that is smoking causes a reduction of blood flow in your gums. This slows healing time, which often leads to infections. You’ll want to consider quitting or at least severly cutting back if you’re serious about dental implants. These are meant to be a permanent replacement. That’s great, but if you’ve been unhappy with a dingy smile, you’ll want to take care of that before getting your implants done. Get your teeth whitened. This way when your dentist creates your implant crowns, they can be made to match your beautiful new fresher, whiter color. It’s a great way to come away with not just a full set of chompers, but one you’re proud to share as well. Make sure you discuss with your dentist any long-term goals you have for your smile at your consultation. This way the two of you can work out a logical plan that will save you money in the end. This is an advanced procedure which requires extensive post-doctoral training. Don’t hesitate to ask the dentist where they received their dental implant training as well as the number of cases they have performed, as well as their success rate. It should be around 98%. While not everyone is a dental implant candidate. They are the closest option to having healthy natural teeth in your mouth. I need some advice. You can barely see my front teeth when I smile. It makes it look like I don’t have any and is embarrassing. I do have jaw pain which I wear a night guard for. My face feels more comfortable and natural when I wear it. But, most of the time, my jaw tightens and I have trouble forming certain letter sounds. My dentist suggested porcelain veneers but I wanted to get a second opinion. What do you think? I’m concerned by some things I’m hearing. I think you need a different dentist. While it is true that getting porcelain veneers can give you a gorgeous smile, it will not help the root of your problem. In fact, it’s likely to make it worse, specifically your jaw pain and issues with pronunciation. You may actually end up with a locked jaw. It sounds like this has happened over time, which may mean you’ve worn your teeth down causing them to overclose. If that’s the case, then it’s very likely you’ll need a full mouth reconstruction. 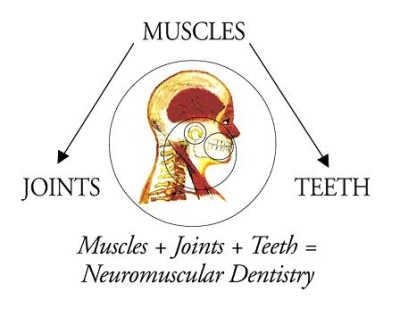 Picking the right dentist for that is just as important as finding an expert in TMJ Treatment. You want to have a functional smile, but one you’ll also be proud to show everyone. In your place, I’d start by finding an expert TMJ Dentist, but then also see if they’re an expert cosmetic dentist. It is possible to get both. For cosmetic dentistry, the ideal is to get a dentist who has attained accreditation with the American Academy of Cosmetic Dentistry. This blog is brought to you by Salem. MA Cosmetic Dentist Dr. Randall Burba. Why Are My Gums Bleeding After Porcelain Veneers? I’m a little concerned. Around six months ago I had porcelain veneers done. My gums were irritated from the beginning. I called the office. They said it is normal to have a little irritation after dental work and it should resolve itself. Then a month or two later the gums started bleeding when I brush. Not every time I brush, but enough that I wondered what’s going on. Now I went in for my six-month check-up and the hygienist said I’m not brushing and flossing well enough because I’m developing gum disease. I was horrified. I always am so careful about my oral care and have never had a problem before. Is this a common side-effect from porcelain veneers? My dentist said no, but I didn’t have any issues until I had them placed. It’s not a side-effect of porcelain veneers, but like you said, it’s rather suspicious it started when you had them placed. I have an inkling of what may be going on here. Is it possible your dentist is a family dentist who doesn’t do cosmetic work as a large portion of his practice? My guess is your dentist isn’t a skilled cosmetic dentist and maybe just dabbles. With your gums being affected, it sounds like your dentist didn’t get the veneers flush against your teeth. When that happens, it’s what’s known as bulky margins. What this does is create a tiny “shelf” at the top of your veneers, which allows for food and other bacteria to get trapped there. This is what is probably what is irritating your gums and leading to the bleeding and gum disease. Who Should Replace Your Porcelain Veneers? First, you have a great case for a full refund. In your case, I wouldn’t consider developing gum disease a functional case, which is the standard for whether or not you’d get a refund. If he gives you a problem about that you can get a second opinion from another dentist. Tell him what’s going on with your gums without making a comment about bulky margins. If he or she gives you that diagnosis as well, then the dentist will be more likely to refund you. Dentists have pride and don’t want to look bad in front of their peers. One tip. Don’t tell the second opinion dentist who placed them, just in case they’re buddies. If he asks, tell him you just want an unbiased opinion and would prefer he not know. He should be fine with that. Once you’ve gotten your refund, you need to go to a different dentist to replace them. Ideally, you’d want to go to a dentist who’s reached accreditation level with the American Academy of Cosmetic Dentistry. AACD accredited dentists are in the top 1% of cosmetic dentists in the country. I wouldn’t be surprised if when you had your new case made that you found the end result to be much more beautiful. In fact, most expert cosmetic dentists have a beautiful smile guarantee. If there’s not an accredited dentist within a reasonable distance from your home, you can go to the mynewsmile.com website. They recommend expert cosmetic dentists by zip code. Not all of them are accredited, but every one of them are skilled and artistic enough to give you the stunning smile you deserve. What if You Hate Your Smile Makeover? I’ve always hated my smile and am considering getting a smile makeover. However, my husband mentioned something that gave me pause. He asked me what happens if I spend all that money and hate my smile makeover? It’s a valid question. He’s not just asking because he doesn’t want to spend the money. Do you have an answer for that? Does it vary from dentist to dentist? Can a beautiful smile be guaranteed? Your husband asks a great question, one I wish more patients would ask before investing in their smile makeover. The answer varies from dentist to dentist. But, that being said, there is a “right” answer your dentist should be giving you. If they don’t give the right answer, go elsewhere. A smile makeover is a work of art. Therefore, the first thing you should do is make sure you’re getting an artist to do it. If you were going to commission a portrait, I’m sure you’d check out the reputation and skills of the artist first. Please do the same with your cosmetic dentist. Ideally, you’d want a dentist who’s reached accreditation level with the American Academy of Cosmetic Dentistry. AACD accredited dentists have guaranteed technical skill and artistic prowess. You will get a stunning smile through them. However, just because something is stunning, doesn’t mean it’s what YOU dreamed of. Your cosmetic dentist should sit down with you and have a consultation about what is your dream smile. You can bring pictures or discuss the character you’re going for. For instance, do you want a sporty smile, an authoritative smile, a youthful smile? All of these are formed with different shapes. He or she should also let you test drive your porcelain veneers after they’re created using a try in paste. You should get to look at them in several types of lighting and also have your family and/or friends look at them. If you LOVE them (and I mean really love them) great. If not, your cosmetic dentist should be willing to go back to the drawing board. Most skilled cosmetic dentists call this a beautiful smile guarantee. If they don’t offer one, walk away. Once you’re satisfied, then and only then should you allow him to permanently bond them on. I hope this helps! Enjoy your new smile. It will bring with it amazing doses of confidence. I don’t know what to do for my poor husband. He had to get dentures because he lost his teeth, but he absolutely cannot wear them. They hurt. The dentist keeps telling us he’ll adjust to them but he hasn’t. Now it’s getting impossible for him. Is there any way to help him? You can have a gorgeous smile that feels good no matter what your age! It’s a shame your dentist hasn’t been more helpful to you. It doesn’t sound like he’s even tried to make any adjustments on your husband’s dentures. That’s the first thing I’d do. However, from what you’ve said, it sounds like you’ll need to see a different dentist to do it. One who is compassionate about his patients. Sometimes, all it takes is some small adjustments and all that pain goes away. You should be aware, while many patients do fine with dentures. Others spend a lifetime hating them. I don’t know where your husband will fall in that spectrum. Do you know if your dentist told him about options before giving him dentures? Technically, he’s obligated to present all options, but I’m not feeling complete confidence in the thoroughness of your dentist at the moment. If adjustments don’t help him, you may have him look into switching to implant overdentures. These anchor his dentures to a series of dental implants, usually four or six. Aside from him never having to deal with the friction of dentures. They’re perfectly secure. They have a more important function as well. With each passing year, your husband’s jawbone is shrinking. The reason for that is the loss of his teeth roots. When his extractions took place his body recognizes he no longer needs the bone support for his teeth, so it resorbs the minerals from the jawbone to use elsewhere in his body. This leads to a condition known as facial collapse. Eventually, he’ll have so little bone left he won’t have a way to keep his dentures in. Having implants placed will help his body to understand that bone is still necessary. That will completely save him from losing his jaw bone and giving him a lifetime of healthy tooth replacements. They’ll look and function just like his natural teeth did when they were healthy. There are other options as well. The key for you guys is finding a dentist which you believe in and can trust. Then ask him to give you all your options. This blog is brought to you by Salem Cosmetic Dentist Dr. Randall Burba.